As president and CEO of Pardee Homes, Mike McGee has sustained a track record of exceptional performance, leading this respected homebuilding company in new direction while preserving its founding principles. Leading the company’s acquisition and development efforts, Mike provides expertise gained from more than 26 years in the real estate development field. His career began in real estate as an industrial broker with Cushman and Wakefield, and then came to the homebuilding industry in 1982 as a financial analyst with The Anden Group. 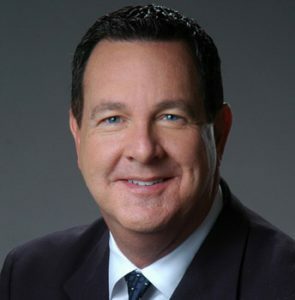 In 1988, Mike became the Vice President/Project Manager for Pardee Homes, where he managed entitlement and development of master-planned communities in Riverside, San Diego and Orange Counties. In 2000, he was named President and CEO of Pardee Homes. Under Mike’s leadership, Pardee has significantly strengthened its presence in existing markets and expanded into a number of new regions. Pardee’s overall sales revenues for 2005 totaled approximately $1.8 billion, with a closing volume of more than 2,800 homes. Mike is a member of the Institute of Residential Marketing, the Urban Land Institute, the California Business Roundtable, and The Young Presidents’ Organization. He currently serves on the Board of Directors of HomeAid America and previously on its National Advisory Board. ​Mike and his wife, Olga, are the parents of Katy and Kristin. The McGees live in San Marino, and are members of the Holy Family Church Parish in South Pasadena.